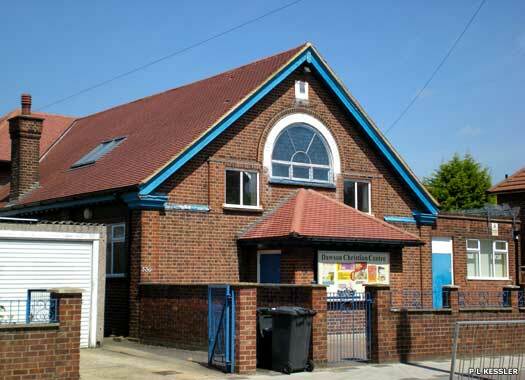 The New Testament Assembly Pentecostal Church sits back on the north-eastern corner of Ripple Road and Suffolk Road. There is little or no information on the building, which is surprising since it appears to date at least from the 1930s. It may be that seceders from Queen's Road Baptist Church in 1886 built it for their short-lived congregation which ended in 1889, or it may have been a hall built by one of the more established churches, but nothing can be confirmed. St Patrick's Church occupies a plot on the western side of Blake Avenue, opposite Denham Way, with the rear of the building facing out over wasteland and the railway from Barking. 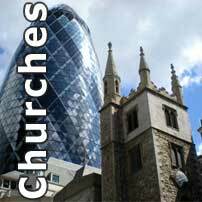 After the First World War the ancient parish of St Margaret at its home beside the ruins of Barking Abbey was divided by the formation of several new parishes. The temporary Church of The Ascension was built on Tudor Road, a little to the north, in 1924 to serve the Eastbury district. 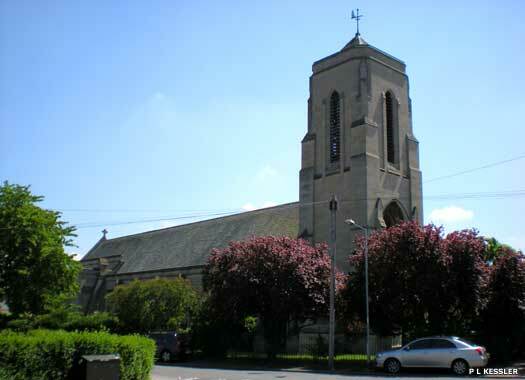 In 1939 a new parish was created, and in 1940 the church of St Patrick was built in Blake Avenue, replacing The Ascension, which became a parish hall (no longer to be found by 2010). The church was designed by A E Wiseman and is built of brown brick. It consists of a nave with passage aisles and an apsidal chancel surmounted by a circular, Art Deco-style tower which is very reminiscent of building work for the London Underground expansion of the 1930s. 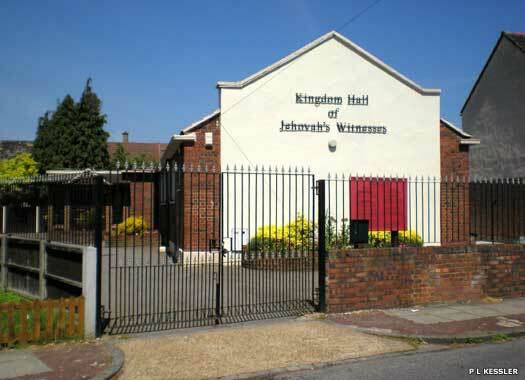 Kingdom Hall of Jehovah's Witnesses occupies a fenced enclosure on the northern side of Stanley Avenue, close to Curzon Crescent. This section of Barking is on the semi-isolated southern side of the Alfred's Way A13 major thoroughfare and lies close to Barking Creek, which feeds into the Thames less than a kilometre to the south. The Jehovah's Witnesses hall appears to have been built relatively recently, almost certainly no earlier than the 1980s. 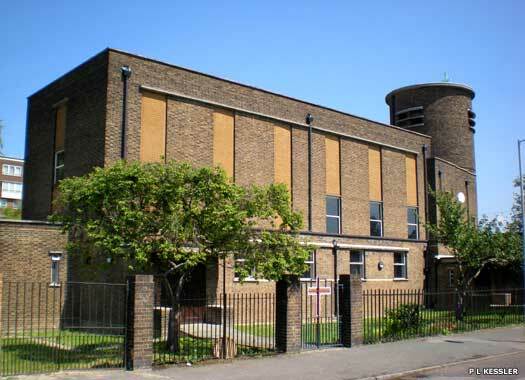 Christ Church Advice Centre & Community Church is on the northern side of Bastable Avenue, almost opposite the eastern entrance to Curzon Crescent in this area of southern Barking. After the First World War the parish of St Margaret was divided by the formation of several new parishes. 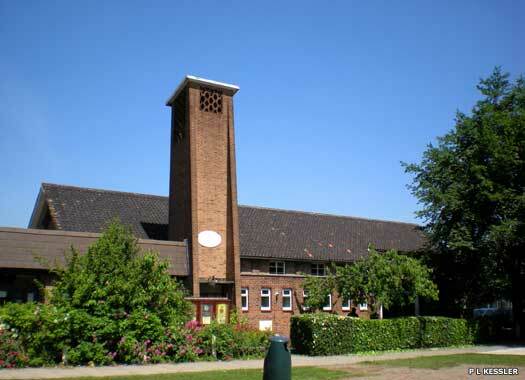 In 1959, Christ Church was built in brown brick for the new housing of the Thames View Estate, as a chapel-of-ease to St Patrick's Church to the north. Rippleside Cemetery Chapel sits at the heart of the cemetery itself, which lies on the north-western side of Ripple Road and Lodge Avenue, an oasis of peace along a very noisy and busy main road. The thirty-one acre cemetery was originally opened in 1810, but according to official statistics, the first burial was carried out in 1886, perhaps a little late. 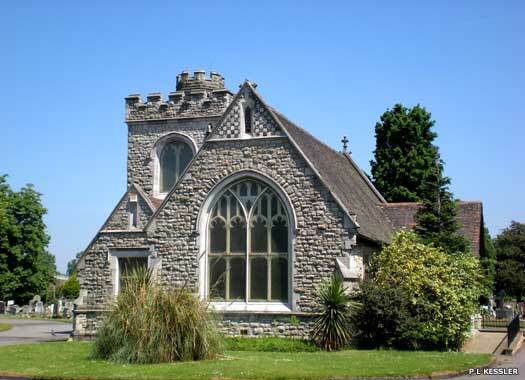 The chapel is a traditional stone-built construction with a short embattled tower and seating for sixty people. 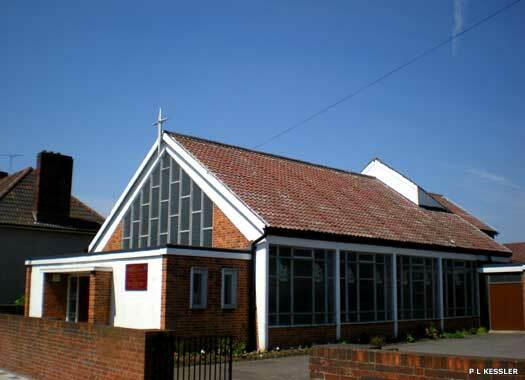 St Anne's Catholic Church sits on the northern side of Woodward Road, almost opposite the junction with Ellerton Road. 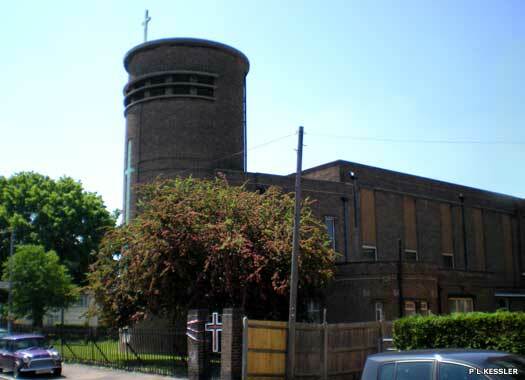 It is within the parish of St Thomas More, Becontree, and was opened as a chapel of ease for that church, a function which it continued to fulfil in 2010. A temporary building was erected here before 1937 to cater for the expanding population between Barking and Dagenham. In 1960, the present permanent building replaced the temporary one. St John the Devine lay on the northern side of Goresbrook Road, opposite Castle Green. The church was built in 1935 of dark red brick with round-headed windows and a tower in the centre of the south front, plus nave with passage aisles, west baptistery, chancel, and Lady chapel. It was replaced about the 1980s with the present building. The church was closed before 2009 and was taken over by the Redeemed Christian Church of God, 'Rivers of Joy Parish'. 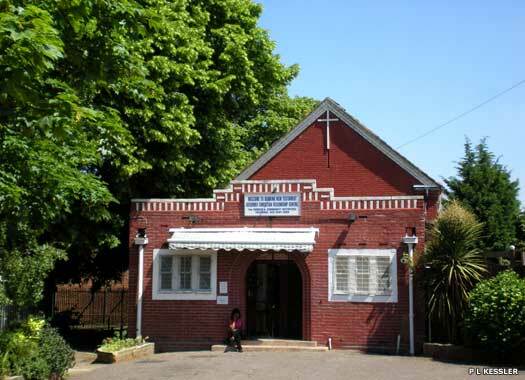 Dawson Hall Christian Centre was built as a gospel hall by London City Mission, and is dedicated to A C Dawson. It lies on the northern side of Hedgeman's Road, close to Tallow Close in Dagenham. 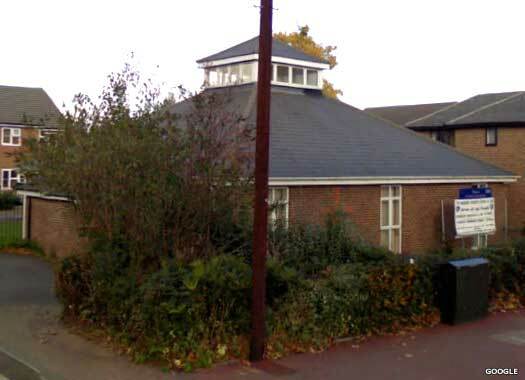 The hall was built in 1930 for the new Becontree Estate (this area is the southernmost part of that estate), and was one of three London City Mission centres, while the Shaftesbury Society built the Greig Hall on nearby Stamford Road, in 1933, now apparently gone. St Alban's Church occupies a plot on Urswick Road, inside the fork with Vincent Road. A Peel district was formed in 1931 for the church, which was erected in 1935 by architect Sir William Milner, whose firm, Milner & Craze, was also responsible for the building of St George, Becontree, in 1935 and St Thomas, Oakwood, in 1939. The Gothic building was of permanent stone with a very large unaisled nave and open roof, a chancel flanked by Lady chapel, and a west tower.